I really love celebrating the people in my life. My family's birthdays are some of my favorite days of year. Yesterday was my dad's birthday, and today was my mom's birthday - a funny coincidence! 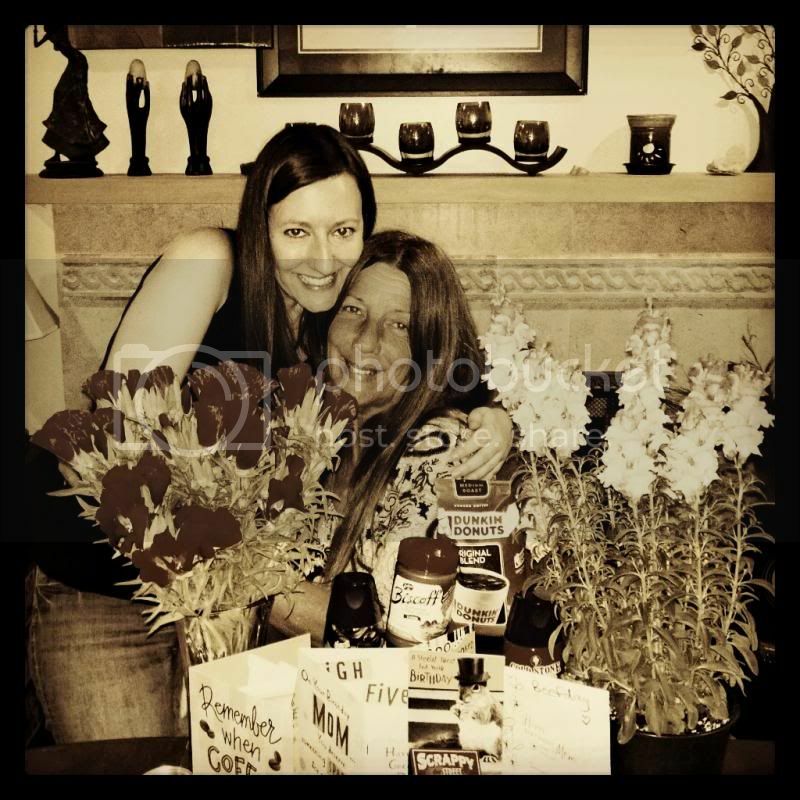 Instead of a traditional gift, I made my mom a basket with some of her favorite things: flowers (pink Snapdragons), various brands of coffee, her two favorite coffee creamers (Cold Stone sweet cream and Almond Joy), a jar of Biscoff European Cookie Spread and a card from each of her kids. My brothers and I also went in on a huge dinner from our family's favorite restaurant, Al Noor. You may recognize it from Food Network's The Best Thing I Ever Ate. We've been eating there for the past 15 years and were thrilled to see it featured on the Food Network a couple of years ago!